Thank you so much for inviting me to share on your blog! 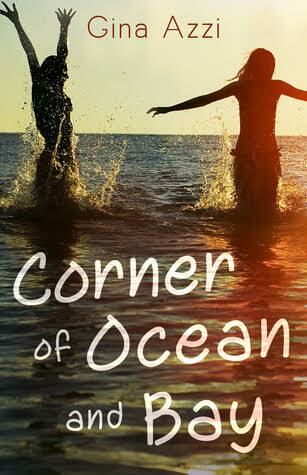 I’m Gina Azzi and I recently self-published my first novel Corner of Ocean and Bay. 1.It’s OK not to have all the answers. They’ll come to you in time. 2.Your best ideas come from the most unlikely places – and in very surprising moments. 3.Honest friends are more important than friends who don’t want to hurt your feelings. 4.Have several people read your book – before you send it to the editor. 5.The cover is incredibly important. Yes, people do judge a book by its cover – it’s true! 6.You don’t have to accept every suggestion someone offers on how to improve your novel – the ultimate decision to accept or reject a change is yours. But you should always listen first. 7.Be open and receptive to criticism – you’re characters may grow a bit more, your ideas may develop, etc. – if you are open to understanding the perspectives of others. 8.Some days, the writing will not come. And it’s ok. (Other days, it will flow. These days are awesome!). 9.Your characters are not you. Or your friends. Allow them to form their own identities. 10.Have fun – and enjoy the process! It’s amazing how much you will learn and grow and develop. Sounds like a great book! I love the cover! Looks like a cute read. Thanks for the giveaway! Looks like a great beach read.. thanks for the chance! 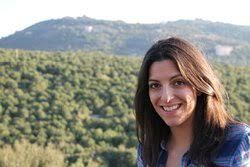 The author and I are both avid coffee drinkers but I wish I could go globetrotting like her as well. I wish her much success.